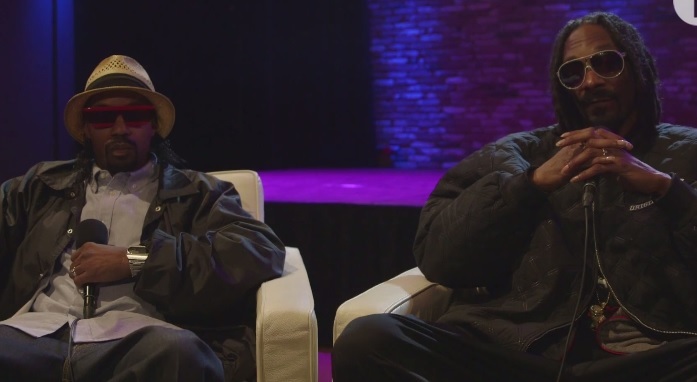 7 Days of Funk (Snoop Dogg & Dam-Funk) recently sat down with BBC Radio 1 for an exclusive interview. As the release date for the duo’s upcoming collaborative self-titled album approaches, the Doggfather and Dam get into details on the project’s distinctive funk inspired sound, the creative direction of the album and the meaning behind the title. As the conversation continued, the Long Beach native opened up about how pleased he is with his new business relationship with Stones Throw Records. This entry was posted in Interview, Video and tagged 7 days of funk, BBC, dam-funk, hip hop, Interview, Radio 1, rap, Snoop Dogg. Bookmark the permalink.